Make sure you are in "Voice" mode by selecting the audio icon inside a chat conversation. You can record voice messages simply by holding down the RECORD button while speaking. But let’s suppose you want to say Hello in Japanese. First tap on the Translate button on the right. In the textbox, type out "Hello" then press the translate button again. After that, you'll see the translation panel. 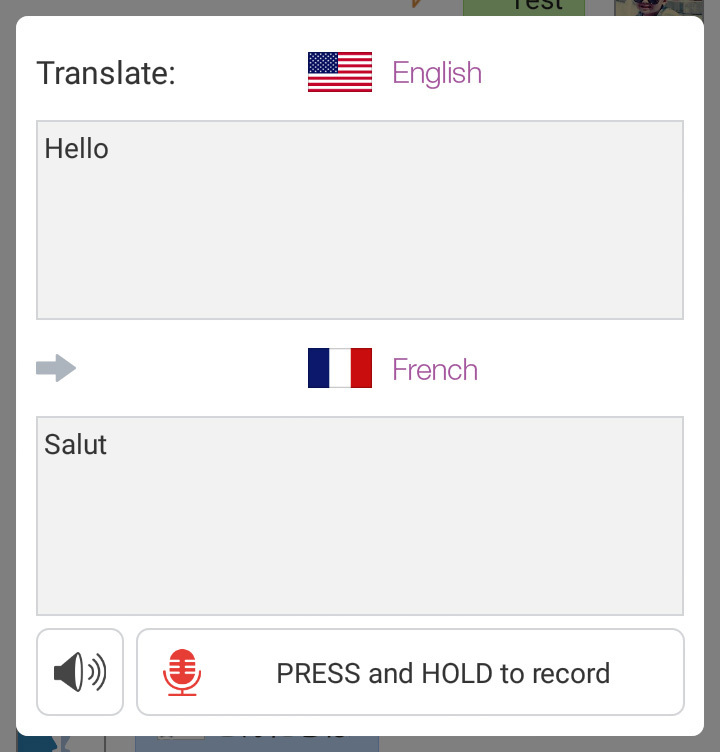 Tap on language name, for this example, tap on "French", and change it to Japanese. Notice that the translation of "Salut" is now in Japanese characters. For some languages, the Romanized version will be shown below the translation. 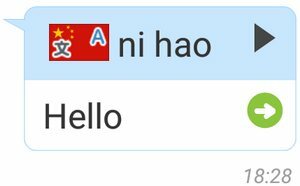 For example, you will see the Romanized version "ni hao" below the Chinese translation of "Hello". To hear how it's pronounced, press the audio button on the left. When you're ready, hold down the record button, say the phrase, and let go when finished. 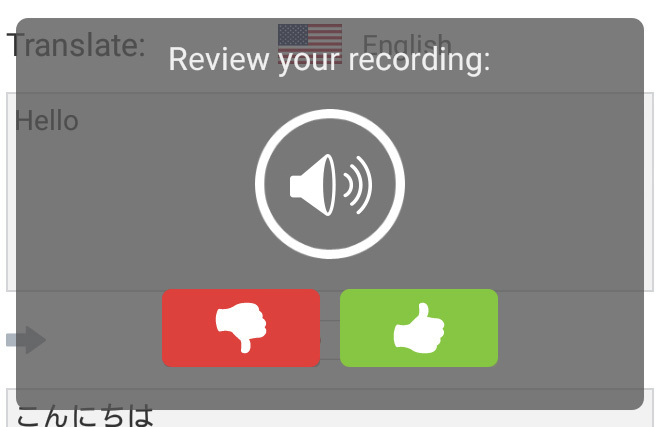 To review your recording, click on the preview icon. If you're satisfied, press the thumbs up button or press thumbs down to repeat. When your pal gets your message, they can tap on the play button to listen to what you said. And if they're not sure what you said, pressing the green arrow button will reveal more information, like the Japanese characters and the translation. For some languages, pressing the green arrow button will show the Romanized version of the translated text. 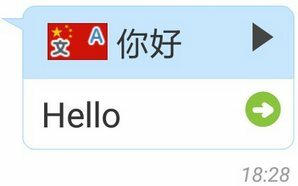 For example, you will see the Romanized version "ni hao" of the Chinese translation of "Hello" after you press the green arrow button.